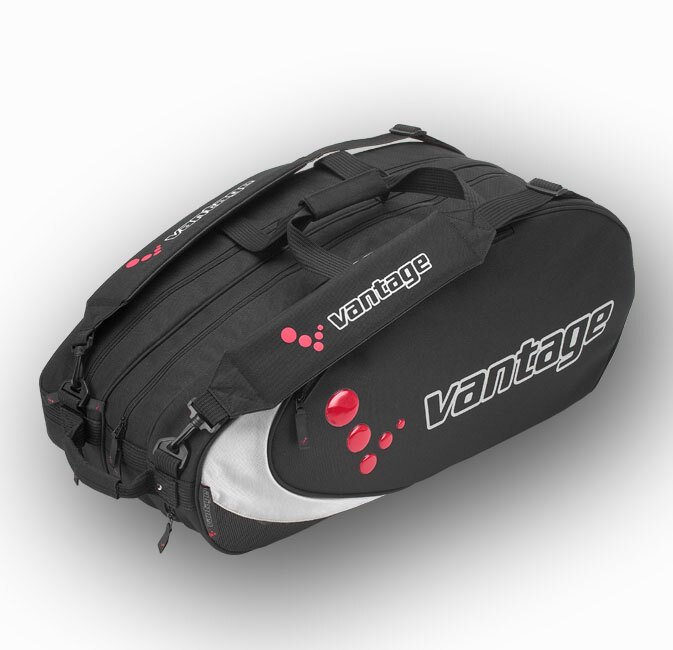 Made from 600D Polyester and 420D Jacquard nylon, this versatile bag offers safe storage for at least 9 racquets and accessories. Padded shoulder straps and side pockets are included, along with a large shoe/wet compartment in the bottom. Measurements are L31" x W12" x D12"
Please tick the box if you would like your bag embroidered with your name.